It has been about five months since Android Wear 2.0 was released, but a few major watches still don't have the update. 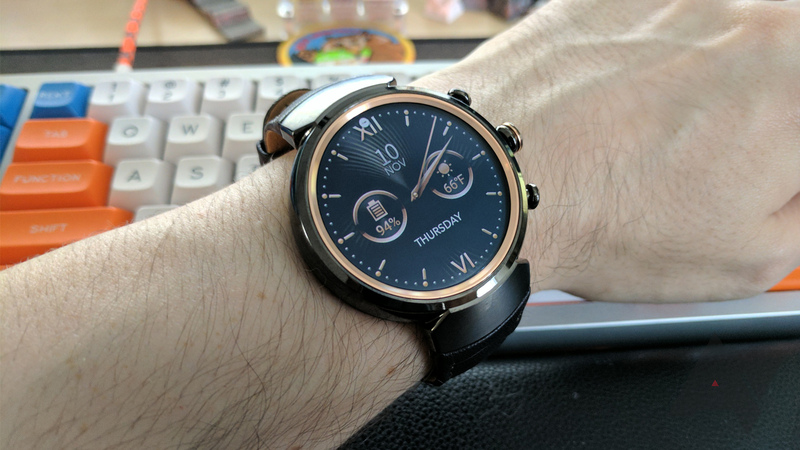 The ZenWatch 2 and 3 are two wearables that have waited months for it, and while ZW2 owners will have to keep waiting, it has finally arrived for the ZenWatch 3. Android Wear 2.0 was officially released in February, but many watches are still waiting on an official update. The ZenWatch 2 and 3 were confirmed to get the new version (the original ZenWatch was left out), but last we heard, it would come sometime in Q2 2017. Now the rollout seems to be in full swing, at least for the ZenWatch 3. In one of those not-so-surprising pieces of news this morning, Digitimes reported that Asus might be throwing in the towel on Android Wear. Despite the slight revitalization we've seen throughout this year, the sales numbers for the ZenWatch line are not looking good. Although Android Wear 2.0 has been put off until "early 2017," ASUS isn't waiting for the update to deliver its own improvements and fixes. The company has released OTA updates for the ZenWatch 2 and ZenWatch 3, with some exciting new features (well, for ZW3 owners). 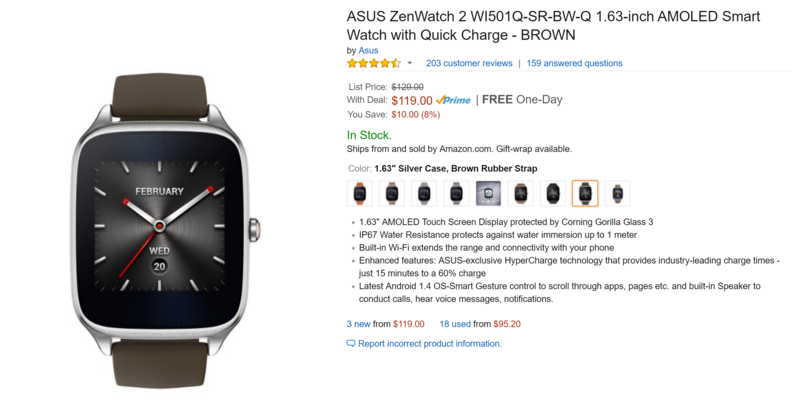 The Asus ZenWatch may be growing a bit old at this point, but it is still a capable performer. Today brings us a few deals on the last memorable square Android Wear watch, but most notably is the offering from Best Buy. You can score some versions of the watch for $100 today only, but you'll get the additional $25 off if you use Visa Checkout. 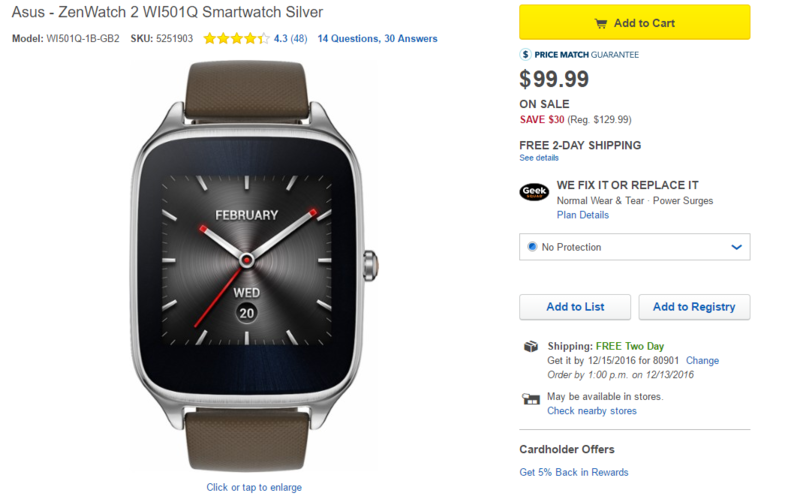 An effective $75 for the ZenWatch 2 is not bad at all. At the beginning of the month, Asus announced that its latest Android Wear offering, the ZenWatch 3, would be available in the early part of November. It looks like the company came through with its promise. 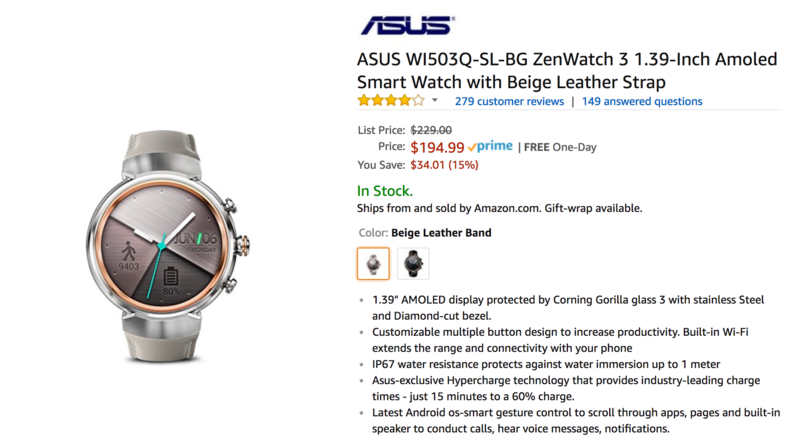 The ZenWatch 3 is now available to order for $229 through the Asus store and B&H. I daresay that this looks like a very nice piece. The ZenWatch 2 may not be the newest kid on the block (the ZenWatch 3 was announced a few weeks ago at IFA), but that only means that more deals will be available for it now. Case in point: Amazon is offering the ZenWatch 2 in the smaller 1.45-inch screen guise with a silver Milanese loop for just $129.99.